The Gallery will be closed November 17 – 25 for Thanksgiving Break. An avid historian, Wylie began collecting Sommer’s images and researching his life and work. What intrigued the artist particularly was Sommer’s strategic use of photography to flatten the picture plane and create layered and stratified images evocative of the archeological process. Wylie, a Professor of Art at the University of Virginia, was supported in this project by Yale University’s Doran Artist in Residency awards at the Sol and Carol LeWitt estate in Praiano, Italy, where Wylie was a resident in 2012 and 2015. 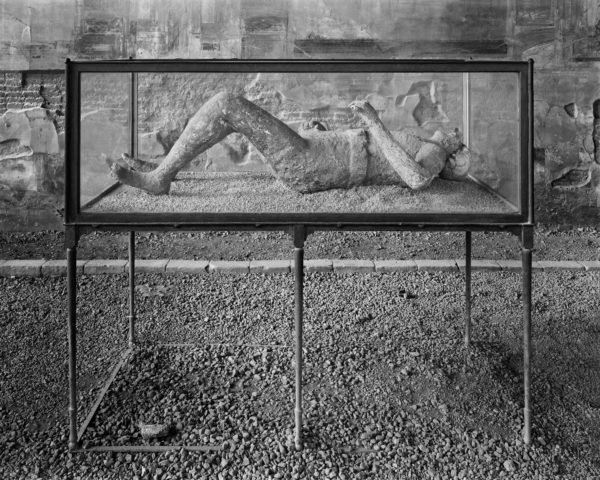 Pompeii Archive: Recent Photography by William Wylie is organized by the Gregory Allicar Museum of Art at Colorado State University. It is brought to the Vanderbilt University Fine Arts Gallery, in part, through the generous support of the Program in Classical and Mediterranean Studies, with additional support provided by the Department of History of Art and the Department of Art. A lecture by featured photographer, William Wylie, Professor of Art and Director of the Studio Art Department, University of Virginia. William Wylie’s lecture is made possible by the Program in Classical and Mediterranean Studies.